As Frank O’Hara wrote, “You don’t refuse to breathe do you.” As he implies, life in an urban environment requires a person to be absorptive, to breathe it in, to absorb all forms of toxicity into ourselves. Of course, O’Hara would be quick to remind us that the toxicity is precisely what we come to the urban environment for, because toxicity is exciting. Emotional toxicity is dramatic and narratively engaging; many forms of toxicity are pleasant to inhale, imbide, swallow, snort, or otherwise absorb; and the second-hand smoke of mass transportation and mass electrification is pernicious, pervasive, and essential to our evening plans. The insight that toxicity is the price of pleasure is what makes O’Hara’s poetry so characteristic of the cultural zeitgeist of the 1950s: O’Hara describes a world where our dearest attachments are a little bit poisonous, and all the more charming for it. 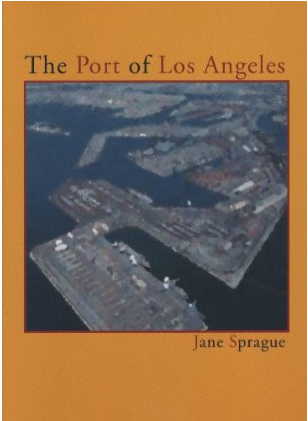 The poet Jane Sprague’s first full-length collection, The Port of Los Angeles, immerses the reader in the sights and signs of a city dedicated to throughput, a city where trucks and trains exchange containers with cargo ships. Whereas New York is presided over by monuments to commerce, civic life in Long Beach is overshadowed by monumental transportation infrastructure. Despite its nominal independence from Los Angeles, Long Beach is the site of LA’s port, where kilotons of goods from China and other Pacific Rim nations enter the US and are shifted to land transport. Sprague describes these same goods as “parsed into sectors or boxes of labeled and specific function or rooms of / disbursement.” Central to these descriptions is an assertion that the goods flowing through the port are “not indifferent.” This assertion springs from a need for connection, to find some way that our surroundings care about us, and by that means to dramatize a meaningful relation between citizens, their city, and the city’s business. In O’Hara’s work, this collective relation is figured in terms of toxicity; to him, urbanites were connected by a common willingness to be exposed to pollution. In Sprague, the connection is found in the underlying human value of goods. But this should not be misunderstood. For Sprague, the value of goods is not that they satisfy human need (human need is more like a constant, a sign of life, in these poems). Rather, goods announce the priority of human needs; each good represents a need which it is (in most cases) unable to fulfill. The problem with this “expansiveness of our we” is its nonconsensual nature. The web of commerce imposed on her forces Sprague to recognize the humanity of distant others caught in the same web. And yet this recognition grants no power of action, is a form of conscience without agency. On the very next page, Sprague adds “our child falls in love with Ikea and wants to move in,” reminding us of the limits of comfort, since, like the port itself, Ikea is dedicated to throughput. 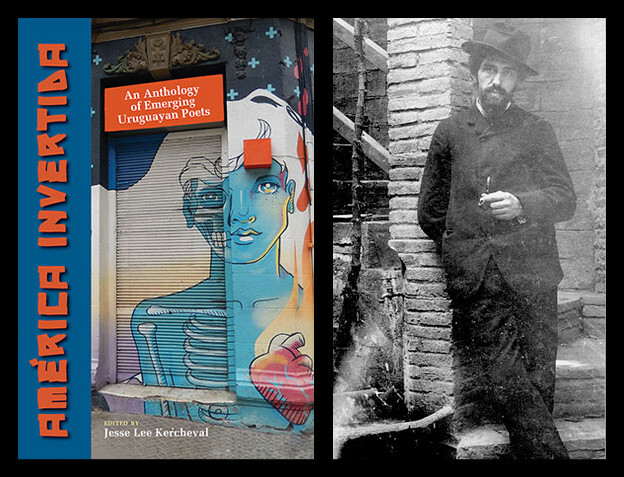 Above all, Sprague’s poetry is haunted by a sense that contemporary life can only be moved through, never inhabited, that imperatives of commerce take precedence over “our narrow beds full of sweat” and “our goods broken by anger and drunkenness.” Sprague suggests that we ourselves are the goods (in other words, that our collective need is the measure of what is good). In her analysis, our ability to conceptualize value has been frustrated by the very systems designed to satisfy us. 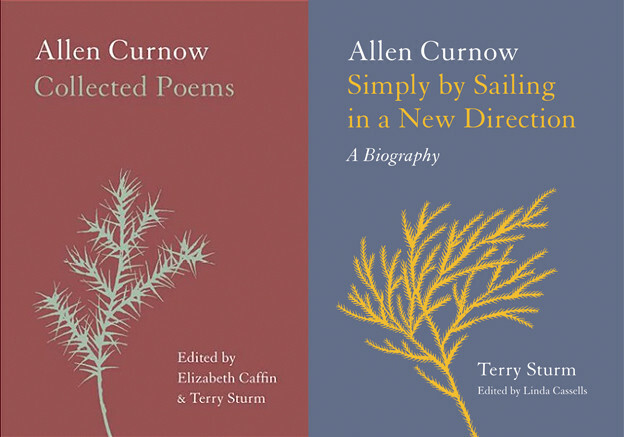 Refusing to become accustomed to the damage done, Sprague’s poetry is that of a reliable and demanding witness.